Funky Polkadot Giraffe: Giveaway: She's Pumped for Disney on Ice Rockin' Ever After! 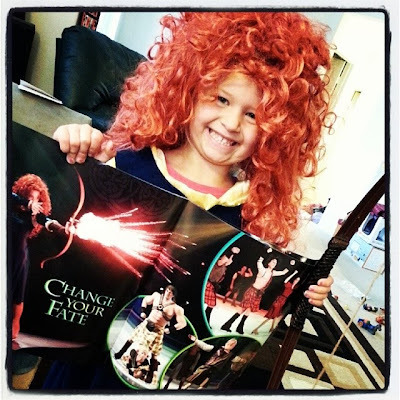 Giveaway: She's Pumped for Disney on Ice Rockin' Ever After! Isabella is so pumped about the Disney On Ice presents Rockin’ Ever After! she is ready to rock it with Merida and the other princesses. It's time to grab your bows and wigs and purchase your tickets before it's too late! See the dates and locations below and don't forget to grab your DISCOUNT CODE! Ticket prices range from $22–$30; $50-$55 (VIP) and $75-$80 (Front Row)* Opening Night tickets are only $15 each for select seating (not valid for VIP or premium seating)* Tickets available for purchase online at Ticketmaster.com or HondaCenter.com, charge by phone at 800-745-3000 or in-person at the venue Box Office. *tickets may be subject to service charges, facility and handling fees. Ticket prices range from $22-$30; $50-$55 (VIP) and $75-$80 (Front Row)* Opening Night tickets are only $15 each for select seating (not valid for VIP or premium seating)* Tickets available for purchase online at AXS.com, charge by phone at 888-9AXS-TIX or in-person at the venue Box Office. Tickets available for purchase online at Ticketmaster.com or charge by phone at 800-745-3000 or in-person at the venue Box Office. 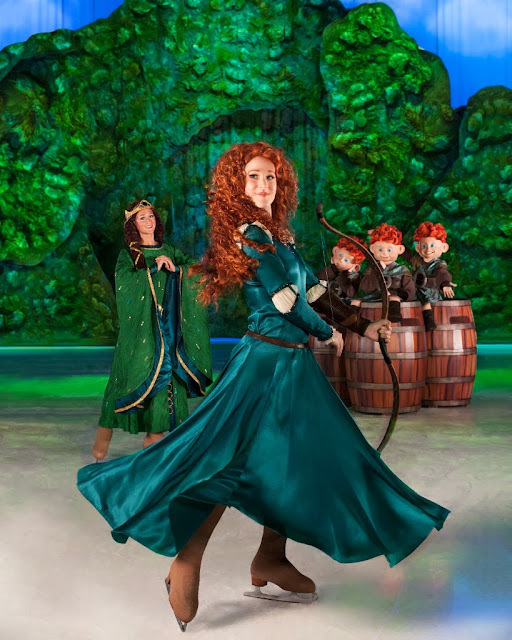 Disney On Ice presents Rockin’ Ever After! This is awesome! I've always wanted to go to one of these and Miss M would love it. I'm most excited for whoever my niece is most excited for! I'm pretty excited to see Merida. Comments are great, aren't they! I would love to see Mickey and Merida. We want to see Ariel! I would love to see Bell. It would be awesome to take my little girl as she is totally into the princesses right now:) Thanks for the chance! Was there a winner chosen for this?